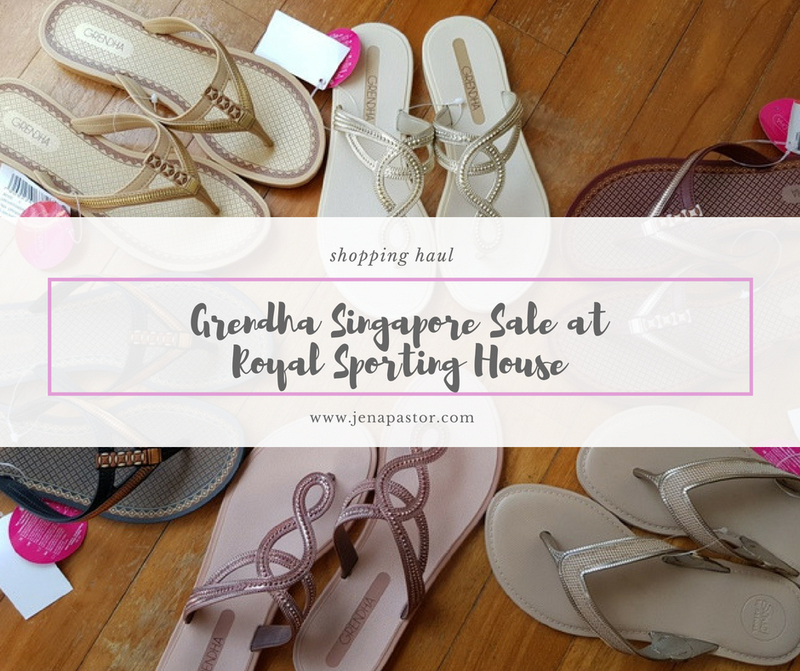 I recently discovered my love for Grendha sandals and it’s timely that I found tremendous discounts during the Great Singapore Sale. With GSS ending on August 12, I thought I’d share with you some of the pairs I bought from Royal Sporting House, and maybe you can get your hands on these, too! 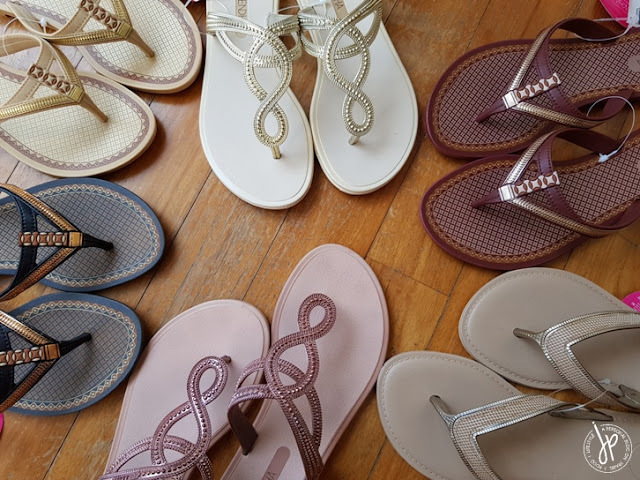 Grendha is a Brazilian brand of sandals from the company Grendene that manufactures stylish and elegant looking footwear, made from the highest quality materials. The brand is commonly seen at SM Department stores in the Philippines, but I never paid attention to it before. I no longer see the practicality of purchasing rubber slippers (i.e. 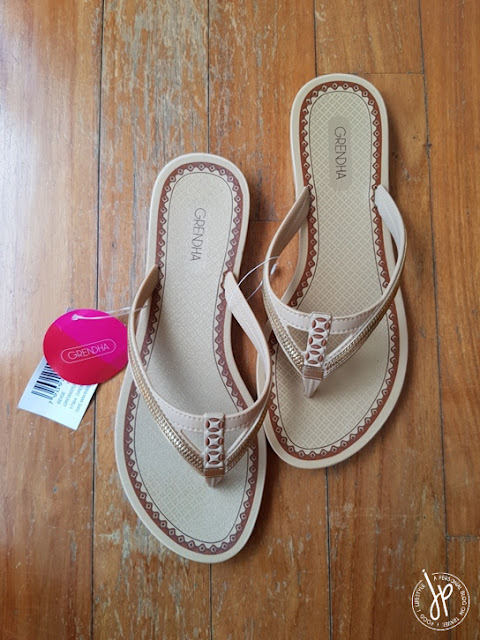 buying Havaianas like I used to) and plastic sandals that’s worth more than Php 1,000 a pair, when I can purchase formal and classic flats for only Php 300. In addition, my previous job required me to wear business attire and closed shoes everytime I had to meet with clients. 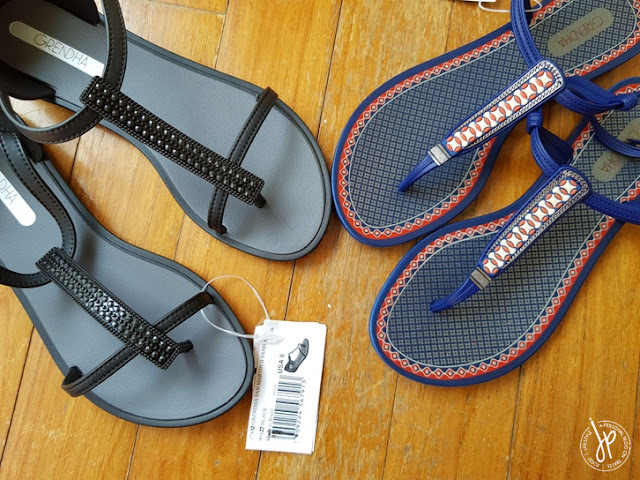 There was no purpose of me buying such sandals with expensive cost per wear. So what made me decide to buy Grendha now? In a week, I got myself two pairs of Charles & Keith low-heel sandals and I wish I didn’t buy the other pair. For someone like me who aims to accomplish at least 10,000 steps a day while still looking presentable at work, I need a comfortable pair of footwear. Though my flats provide me a snug fit, I notice I get foot cramps when I use them daily. Slippers are comfortable to use for commute and long walks, but they’re not suitable for office wear. 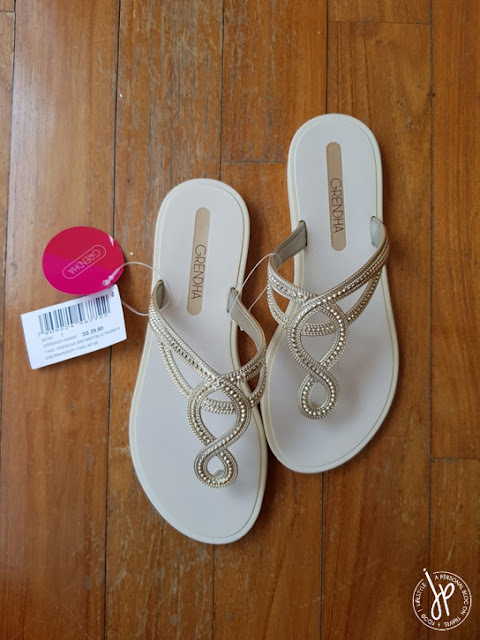 So I remembered the brand which produces sandals made out of the finest plastic and recyclable PVC and researched where I could find it in Singapore. To be honest, Grendha shoes is not as popular here as compared to the flip-flop loving Philippines. I haven’t seen any update about the brand from the Royal Sporting House’s Facebook page, but I’m glad they replied to my email in just a couple of hours. To my delight, their customer service confirmed they still carry the brand and gave me a list of participating RSH branches. As you can see, these Grendha sandals aren’t your ordinary pair of slippers. The details in every pair say so much about the craftsmanship. Whether you dress down or you dress up casually, you can wear these sandals in style and best of all, in comfort. I’ve already worn the pink one at the office wearing a simple top and ankle pants ensemble. Imagine how relaxed yet stylish it would look with a pair of denim shorts or short summer dress. 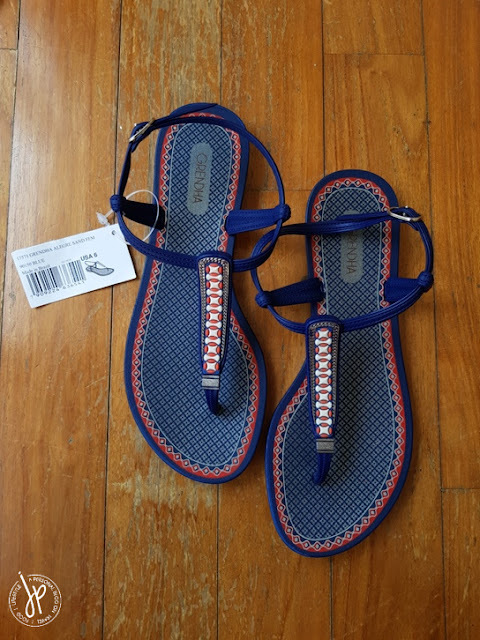 The pairs currently available in Royal Sporting House in Somerset and Lucky Plaza are thong style sandals. 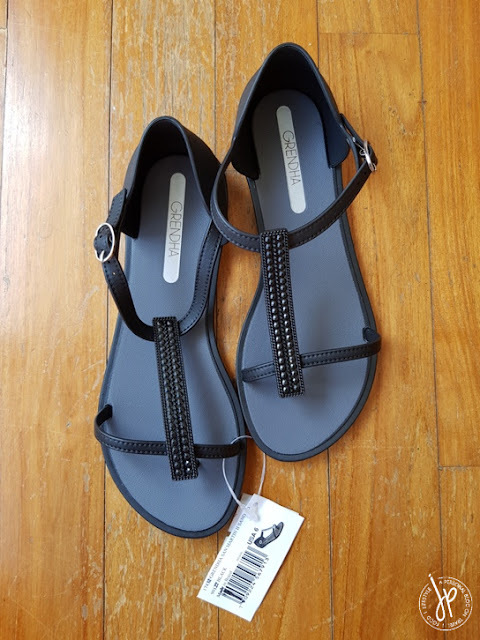 I didn’t see any design that comes with an ankle strap which is more popular back in the Philippines. A pair originally costs SG$ 29.90, but they’re on sale at SG$20 for two during the Great Singapore Sale! What’s more exciting is that RSH currently has an extra 10% discount during their clearance sale if you purchase two pairs or more (so yes, I got two pairs for SG$18 only). Grendha Alegre Rast Fem in Burgundy. This style is so comfortable, I bought all three colors available in Royal Sporting House. So how much did I pay for 6 pairs of Grendha sandals? 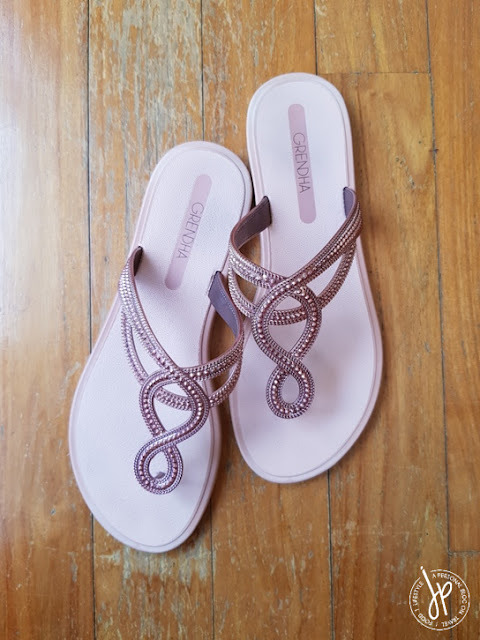 Only SG$54 (Php 2,160 or Php 360 per pair)! That’s almost 70% off on each pair! It’s not like the clearance sale we have back home where the only stocks left are broken sizes. There are plenty of sizes 6-8 available at RSH. Of course, not everything here is mine. I got some for my mother and sister, too (I hope they’re not reading this!). 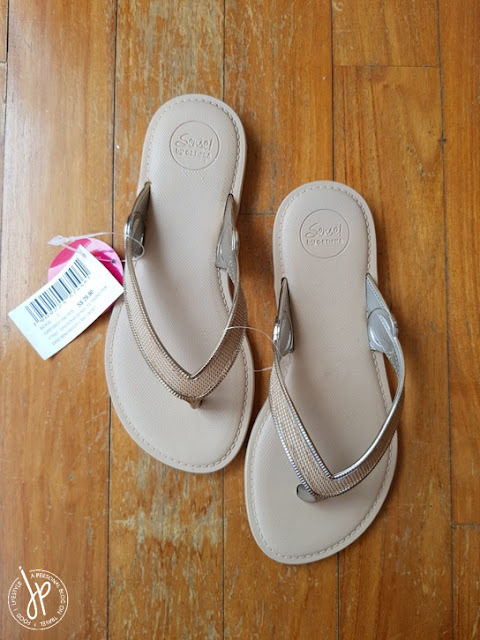 San Martin II Sand Ad and Alegre Sand Fem Flats from SM Megamall. Sold at Php1,795 and Php1,595 respectively. 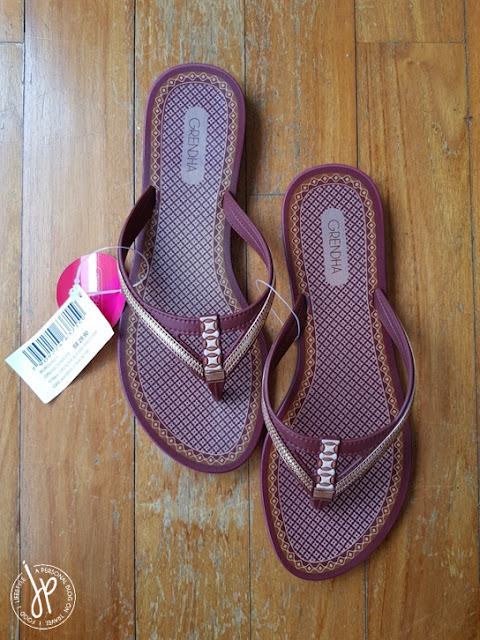 I liked these sandals so much that I asked my husband to buy me a pair (which turned two) at SM Megamall (Lol!). I didn’t mind paying more because I liked them so much. Plus, I wanted to try out the more elegant looking versions with ankle strap. 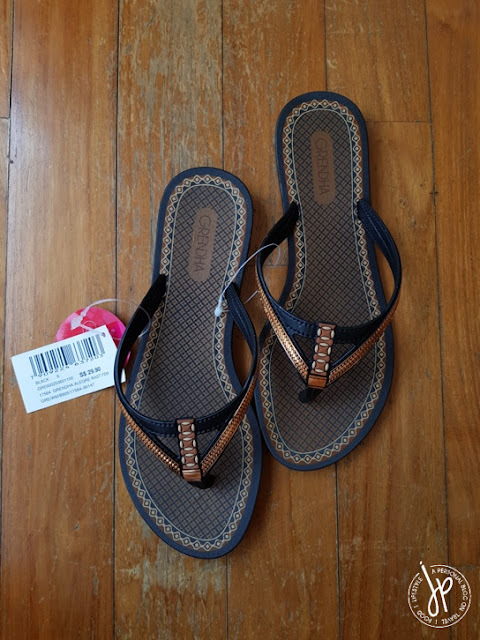 I wore the black San Martin II Sand Ad Sandals the other day when there was a morning thunderstorm. Half of my pants from the knees below got drenched and my Grendha sandals soaked in puddles. I didn’t mind because I know my footwear is durable. My pants took a few hours to dry, but my Grendha turned dry in just a matter of minutes. I feel like I will be collecting these sandals from now on. I just hope they’ll have more elegant and office-friendly designs here in Singapore, or else I’m going to hoard when I go home! Grendha sale at 2 for $20 at 313 Somerset happens until supplies last. Other RSH stores that carry the brand can be found at Great World City, Parkway Parade, Lifestyle at JEM, and Lucky Plaza. Disclaimer: This is not a sponsored post. The contents of this entry are purely my opinion and 100% honest based on my shopping experience.